An innovative approach using trail cameras to capture wildlife allows Idaho Fish and Game biologists to estimate deer and elk populations in a safer, less-invasive, and less-expensive way. Idaho Fish and Game has confirmed a case of Treponema Associated Hoof Disease in an elk harvested by a hunter near Whitebird in 2018, which is the first animal diagnosed with TAHD in Idaho. In the early morning hours of Friday, January 25, a herd of elk was hit by a train traveling between Montpelier and Soda Springs. No people were injured in the collision. Conservation officers from the Idaho Department of Fish and Game arrived at the scene and dispatched injured animals as well as coordinated the removal of the carcasses from the railroad tracks. A total of 31 elk were killed of which ten were salvageable and distributed to members of the community. A local citizen volunteered his time and front-end loader to load salvageable elk into people’s trucks. The 2019 big game hunting season in Idaho’s southwest region is the focus of a series of open house meetings where hunters and other wildlife enthusiasts will have a chance to review and discuss big game season proposals with Fish and Game staff. 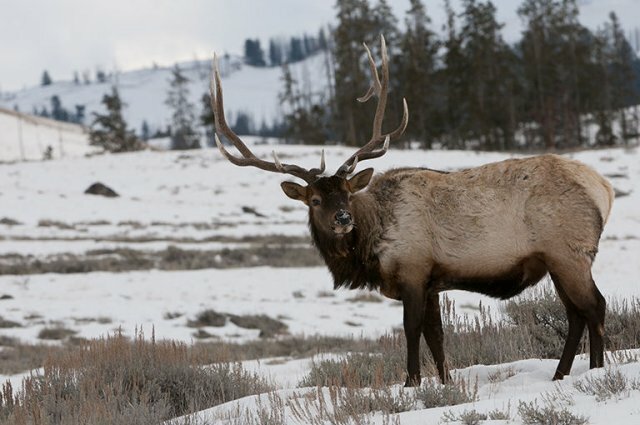 A complete list of statewide deer, elk, pronghorn, black bear, mountain lion and wolf hunt proposals will be available on the Fish and Game website (https://idfg.idaho.gov/rules/big-game/19-20-proposals) in late January and at both the McCall and Nampa regional offices. Sportsmen and women are invited to attend one of four big game open house meetings at different locations in the Clearwater Region.